Financed with a lottery grant, this has been a joint project between the West Sussex Library Service and the West Sussex Record Office, who appealed for volunteers to research case studies on various topics of the war or on a particular serviceman or woman. Far more people came forward than expected – 150 rather than the estimated 80 or so – but the end result is a fantastic learning resource that I can thoroughly recommend. Included among the 100 case studies are two of my own, telling the stories of Private Harold Frank Linfield (about whom I have written previously in Longshot) and Nurse Alice Emily Linfield, his older sister. 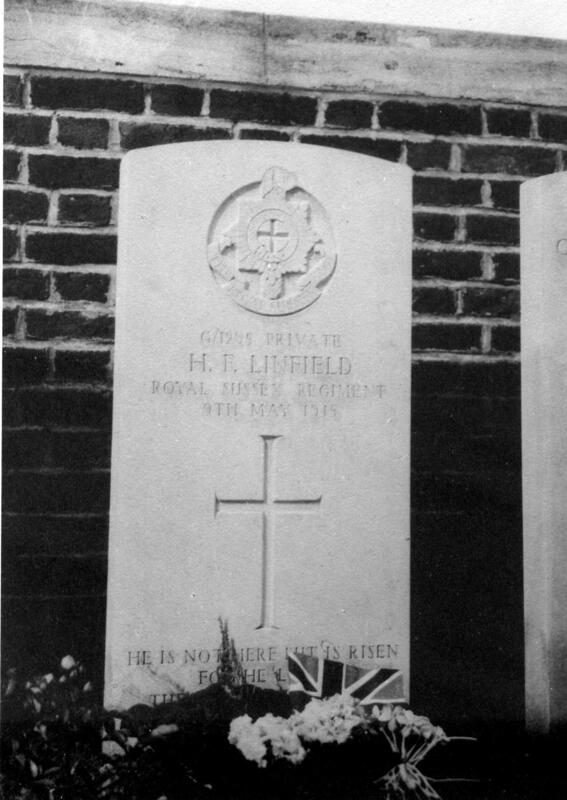 For those of you who may have read my Longshot article on Harold Linfield (Private Harold Frank Linfield of the Royal Sussex Regiment, Vol. 10 No. 2, April 2004) , this case study is essentially a much revised version and contains new material, including some recently discovered letters. Please have a look at the website for a truly interesting experience! A book has also been published as part of the project – ‘Great War Britain : West Sussex, Remembering 1914-18′ - which contains fascinating articles by a number of experts, and is edited by Martin Hayes and Emma White. Priced at £14.99, it incorporates new material discovered by the researchers involved in the project. One of the invaluable legacies of the project has been the digitisation of ten local newspapers between 1914 and 1925, providing searchable text on DVDs. 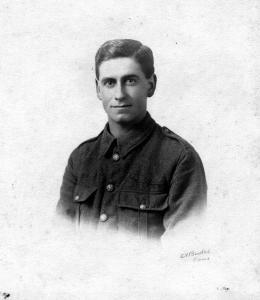 Harold and his younger brother Wilfred both joined the 2nd Battalion Royal Sussex Regiment in September 1914 as volunteers. After training in Dover, they embarked for France on 4 January 1915 to join their battalion. 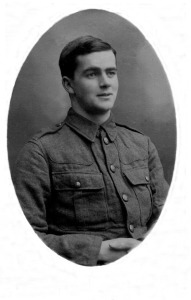 The Winter of 1914-15 was particularly wet on the Western Front, and many troops succumbed to frostbite and ‘trench foot’, including Harold’s brother, who was sent back to England in early February. 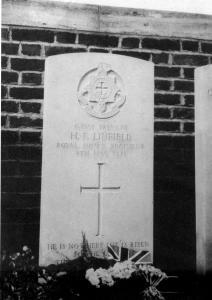 Harold had an awful time, and in letters he sent back home, he said how pleased he was his brother was no longer there. In fact, Wilfred’s affliction probably saved his life because he avoided the notorious battle that claimed his brother. 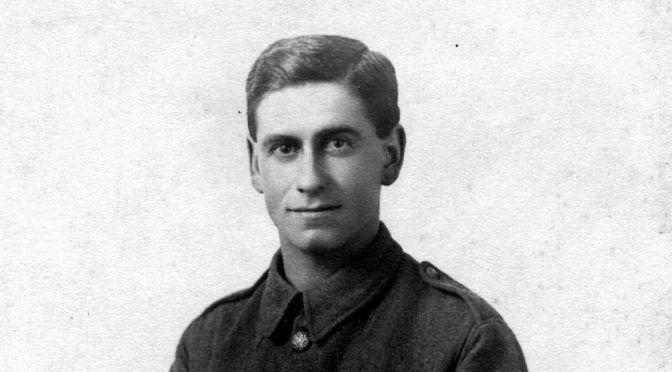 Harold’s war came to an end at the notorious Battle of Aubers Ridge on 9 May 1915, when he was killed soon after climbing over the parapet by German machine gun fire. Aubers Ridge was an unmitigated disaster for the British – 11,000 casualties in one day with no gains whatsoever. A serious shortage of munitions meant that the initial bombardment was absurdly short – only 40 minutes, compared with the 4 days’ bombardment by the French at Vimy Ridge to the south – so that the wire entanglements in front of the German trenches remained uncut. The 2nd Battalion RSR were in the first wave of troops to leave the trenches in the southern attack at Richebourg L’Avoué. Witnesses saw Harold fall in the charge, and that was the last time anyone saw him. Since no gains were made, it took months before his body was eventually recovered in September 1915. His family were devastated. It has been estimated that over 93% of the 2nd Battalion RSR who were killed at Aubers Ridge on 9 May 1915 have no known grave – at least Harold has a grave with a headstone in the Military Cemetery at Rue-Pettilon, Fleurbaix. Harold’s younger brother Wilfred, who survived the Great War 1914. In spite of considerable opposition from her father, Alice was to get her own way and became a nurse at Kings College Hospital, London in 1912. She completed her training at King’s on 16 October 1915, and on 4 January 1916, she joined the Queen Alexandra Imperial Nursing Service (QAIMNS). 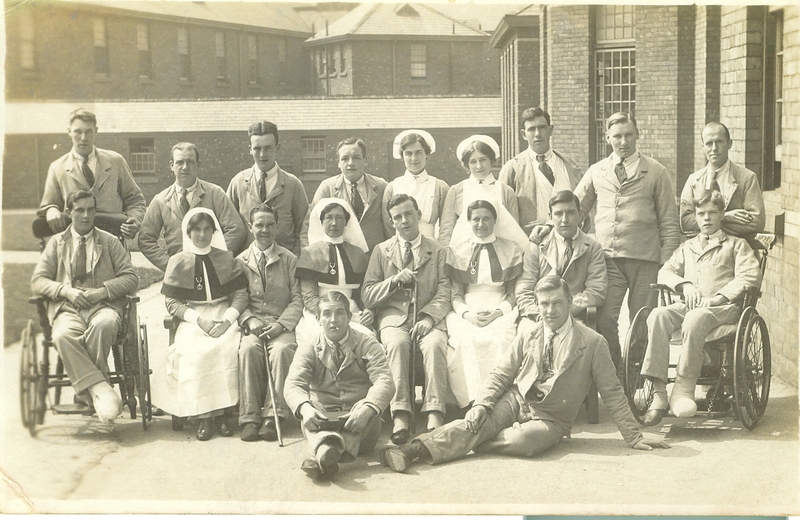 Her first posting was to the Lord Derby War Hospital, on the Winwick estate in Warrington, Lancashire – a former asylum – which provided 2000 beds for injured servicemen. In 1917, Alice was sent to Salonika on board the HMS Hospital Ship ‘Goorkha’. She was by now a Staff Sister in charge of 50 nurses. They arrived in Salonika on 20 May 1917. The conditions they faced were harsh and uncomfortable, with extremes of weather – baking hot summers, and freezing winters – but there were other distractions which were far worse. Malaria infested swamps, dysentery and all sorts of horrible diseases decimated the troops and the nurses faced a hard time at the field hospitals trying to cope with the influx of casualties. Alice herself succumbed to malaria and dysentery at one point, as did so many of the nurses in close contact with their patients. My article attempts to look at the sort of things Alice would have been involved with during her time there, which ended with her demobilisation in February 1919. She was described on her demob form as a “most capable and efficient Ward Sister”. 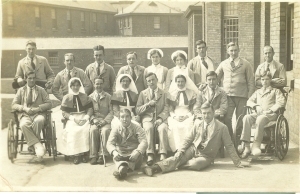 I am an author and local historian in the West Midlands, keen to get in contact with Malcolm Linfield as I am researching the life and work of Ida Mary Turner, Matron at the 49th General Hospital in Salonika from May 1917 to Jan 1919. Have read the article on Alice Emily Linfield and have copies of War Diaries in which she is mentioned. Hello, Jean. Many thanks for getting in touch, and I apologise for taking so long to reply to you. My cousin says she was a very interesting lady, but unfortunately I never knew her. Any new information about her military service would be a real bonus!